Custer, the oldest town in the Black Hills, is located near many of the Black Hills best attractions. Situated on the edge of Custer State Park, one of the largest state parks in America, Custer is the place to be if you want to be close to adventure.When you stay in a Custer hotel, you’re less than 30 miles from Wind Cave National Park, Mount Rushmore National Memorial, Crazy Horse Memorial, Harney Peak, Iron Mountain Road and the Needles Highway. 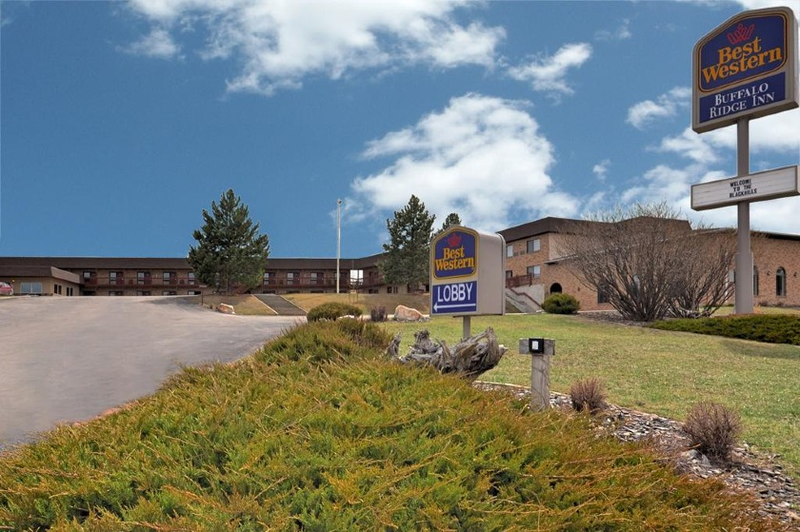 Custer hotels and lodging options are perfect for those that want to be located in the heart of the Black Hills. This unforgettable community offers a laid back atmosphere, outdoor activities, local shops, restaurants and entertainment. Browse our inventory of Custer hotels and you’ll find affordable stays, vacation deals and Custer discounts. Custer is generally considered to be the oldest town established by European Americans in the Black Hills of South Dakota and Wyoming. In 1874, Lt. Colonel George Armstrong Custer's 7th Cavalry expedition was camped near the modern-day location of the town when they discovered gold in nearby French Creek, touching off the Black Hills Gold Rush (1874-1877). To honor its history, Custer holds its annual "Gold Discovery Days" celebration and festivities during the last full weekend of July. Custer is also host to the Tesla Car Rally, which brings in car enthusiast and vehicles from all over the country. When you stay in Custer you are close to the major attraction of the southern Black Hills, like Mount Rushmore (25 miles of Custer), Crazy Horse Memorial (5 minutes north), Custer State Park (two minutes from downtown) Jewel Cave National Monument (15 miles west), Wind Cave National Park (20 miles south), Mickelson Trailhead (right in Custer), and the Black Hills Playhouse (15 minutes from downtown Custer). You'll definitely want to take a look at our Black Hills Maps section to familiarize yourself with the Custer area.